Sometimes we are so detached with nature that we do not realize that nature is there for us and not against us. The earth is filled with elements that naturally helps every microorganisms to survive easily. One handy trick to make sure plants in our garden grow healthily is to make sure we plant during the right time. In country with tropical weather like Indonesia, we have only 2 seasons. The dry and rainy season. A smart time to plant the ready-to-transplant plants is the end of the rainy season. End of rainy season allow young plants to get sufficient water and also not too much rainwater that it will damage delicate and young plants. This season has also not so harsh sunlight that it will cause stress to young plants. This pattern of nature also allows less work on our part to regularly water the plants and gives us more time on our hands. 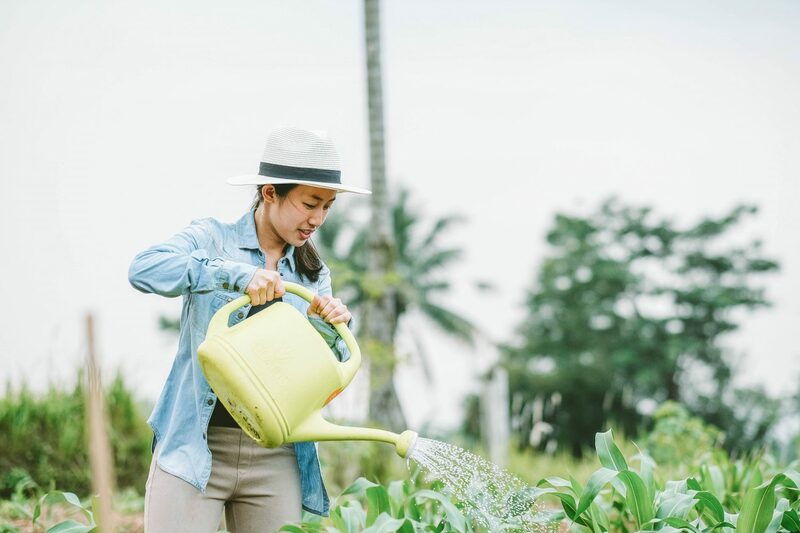 Last but not least, do not forget to use the rainy season as an indication for us to sit back and think about what we want to plant in our garden and then start planting seeds in nursery or indoor. By the end of the rainy season, we will be ready to plant our desired plants and welcome the dry season with bountiful harvest! Did you know that while we are sowing our land at the farm, we are also busy updating our website. 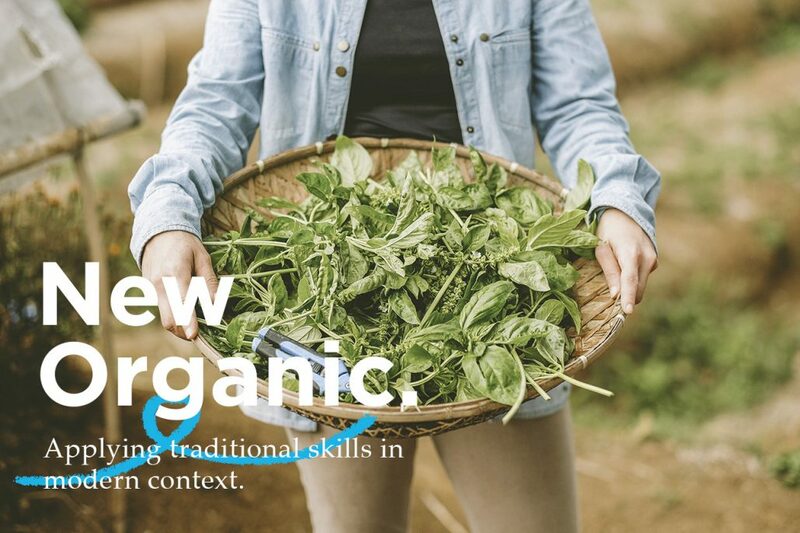 Though our website is not the savviest, yet we think it’s pretty good for a farmer who spends lots of her time doing things hands on. 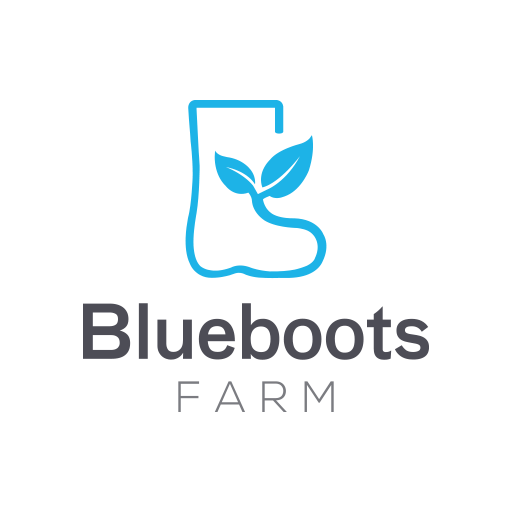 If you are always curious about the people and story behind Blueboots Farm, you will be able to know us better through our website. Maybe you have been craving for that Creamy Peanut Butter you bought from one of our events? That too is solved, because now you can shop Blueboots Farm’s products from the Shop page. Keep an eye on our shop as well because we will be updating it will seasonal products from time to time (Hint: check towards the end of September). And of course, if you have been following our social media, you will know that we love sharing our stories through our Journal. So we’ve got it covered for everyone of you who’s keen to know Blueboots Farm better. Explore our new website and say hello to us! http://blueboots.farm/wp-content/uploads/2016/09/NewOrganic.jpg 853 1280 standartwork http://blueboots.farm/wp-content/uploads/2016/08/cropped-Untitled-3.png standartwork2016-09-09 01:00:222016-09-08 12:19:36Exciting New Website! The long-awaited Moringa Powder from Blueboots Farm has finally launched! With about 100 moringa trees at Blueboots Farm, we are able harvests moringa leaves weekly and dehydrate the nutrient-packed leaves into powder for easy consumption. We dehydrate the moringa leaves at 42 C degrees so as to retain as much nutrients as we can for our family and friends. The merits of Moringa food will go on an endless list (it basically has an impact in every parts of your body, even to the molecular level), but it is mainly known for reducing sugar blood level and for its antioxidant. So, why not give this superfood a try! 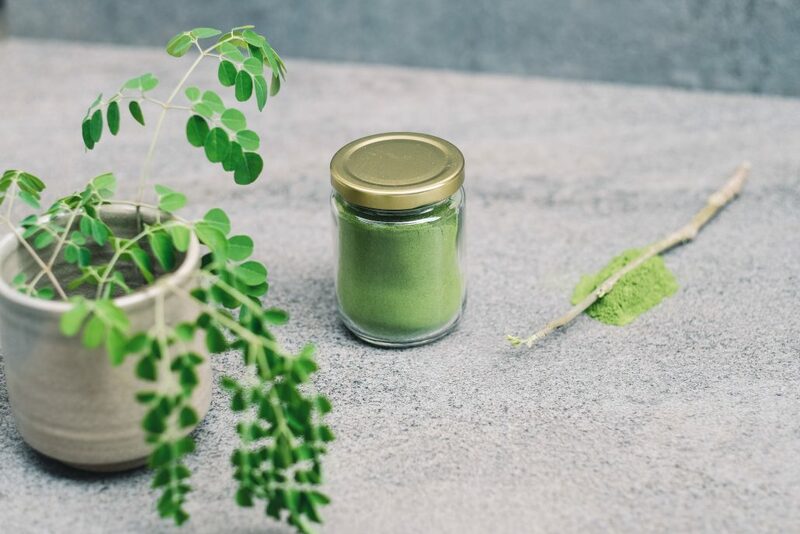 If you are not familiar on how to use Moringa Powder, you can follow us through our journal, as we reveal easy recipes to apply Moringa Powder daily to our lives. You can now go to our Shop page to purchase this mighty powder! Thank you for visiting Blueboots Farm at Olv Town Market by @semasadikotatua. We are happy to meet many local creatives and enthusiasts in this beautiful old building. 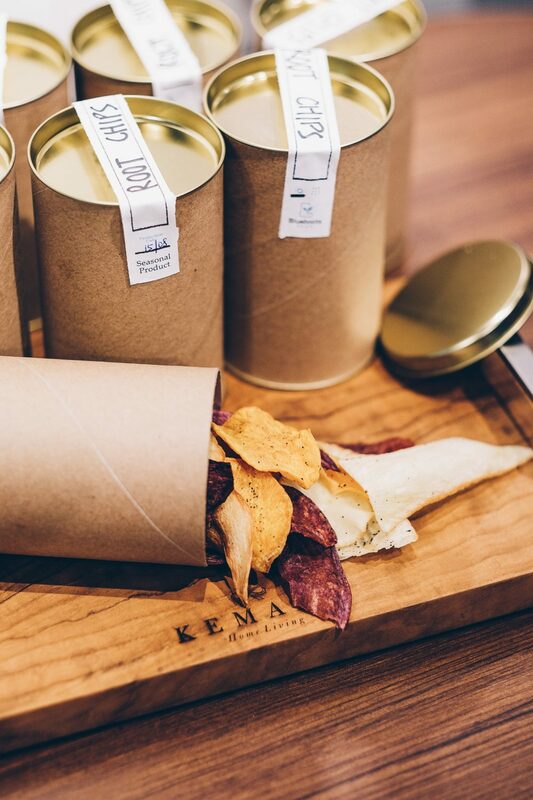 Displayed in the middle is our cassava chips grown, picked and passionately crafted at Blueboots farm. It takes 6 – 8 months for cassava to grow into the right maturity and size to be harvested for our chips. 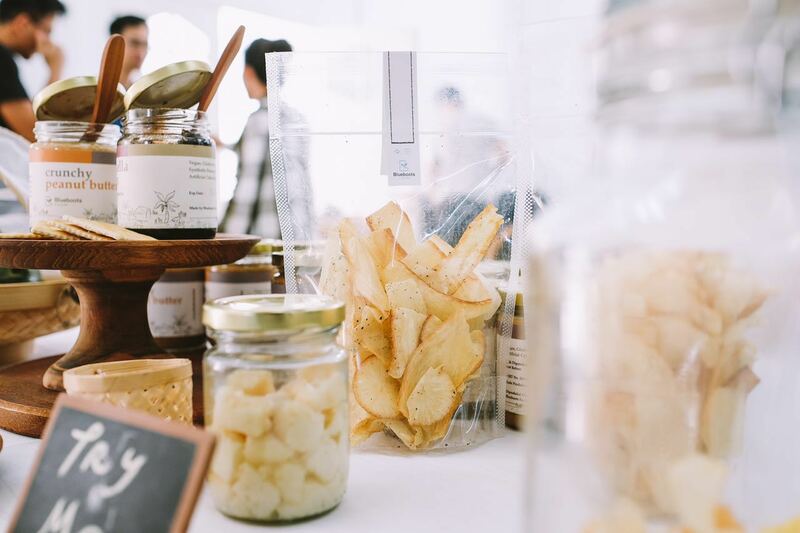 We are definitely not surprised that the cassava chips brought much snacking joy to visitors coming to Olv Town Market. For some of us, we might not have plenty of space to grow anything in our own home. We might live in apartment or tiny houses with no garden or backyard and sometimes not even a space for massive plant pots. If you have a free corner in your kitchen, chances are you will be able to grow some herbs there since herbs don’t need much space. 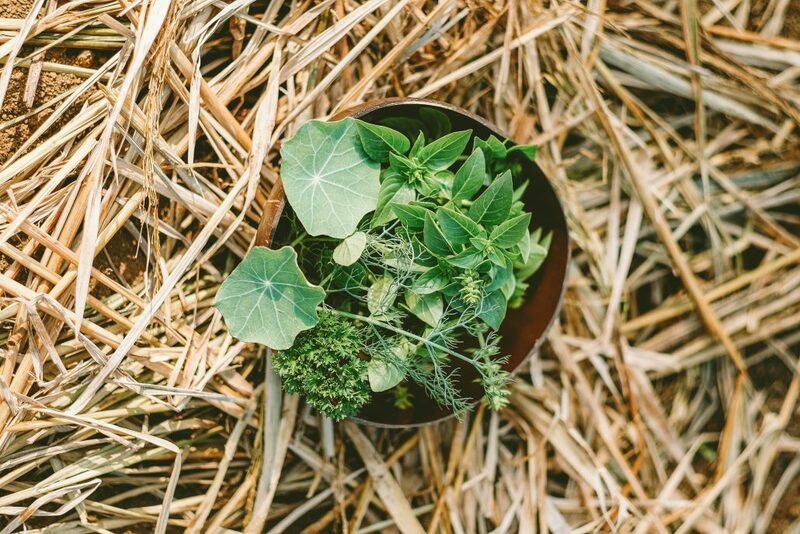 And most importantly, you don’t really need green fingers to grow herbs at home! There are some herbs that we recommend you to grow in the kitchen. You can use these herbs for your cooking, as a garnish or to bring great scent to your space. Let’s have a look at the herbs that you can grow in your kitchen. Basil is one of those versatile herbs you can incorporate into many dishes in cooking. Especially favoured in Italian cooking, the fresh anise-like flavor and intense clove-like aroma is suited for those meaty pizzas or tomato based pasta. On top of that, basil contains great vitamins from A, K and C as well as magnesium, iron, potassium and calcium. Rosemary is another favourite of ours for its pungent aroma. Insects and mosquitos hate it, thus it is very useful as a natural repellant! We grow some in our kitchen and put a row of rosemary plant in front of our front door just to keep those insects and mosquitos away. Apart from its benefit as a natural repellant, rosemary is also believed to relieve indigestion, neutralizing bad breath and relieving pain. When used as aromatherapy, it can help to clear the mind, reduce anxiety and relieve stress from the traffic jam! This next herb has a distinct aroma that some people love, yet some totally hate. Which one are you? If you ask us, we are definitely the lover. Everything from its seeds to its leaves can be used for cooking and it does bring a memorable flavour when eaten. Coriander is especially high in antioxidant and vitamin C as well as other vitamins. Most of the time we love to put it in our cooking to freshen up dishes like tacos and salsas. Yum! A new addition to our Blueboots’ biodiversity is Kacang Koro plant. It is delicious eaten fresh or sautéed simply with garlic. This beautiful legume plant will soon crawl its way up to get more sunlight and produce grow healthily. 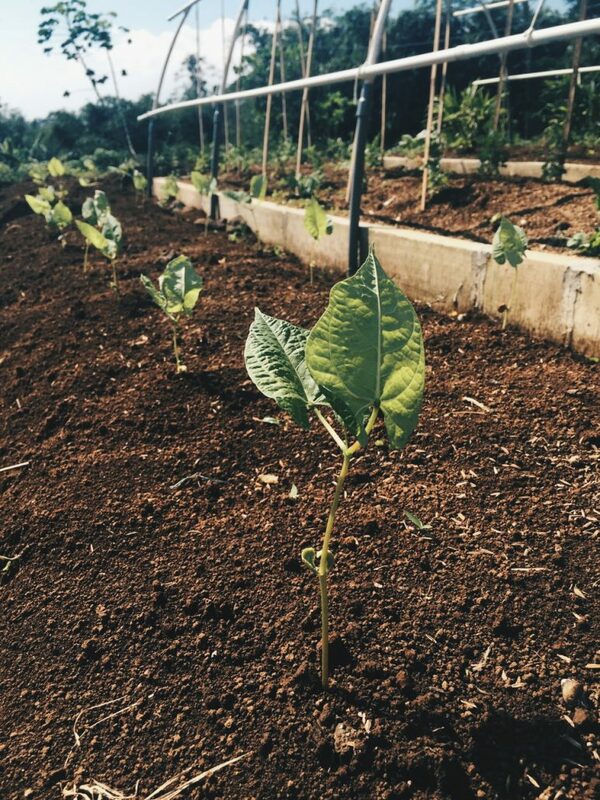 We have a plot of land that we dedicate to provide fresh vegetables for our farmers and this kacang koro will belong to them once they are ready to be harvested. Happy Thursday everyone! We are rather excited to share this event with you. 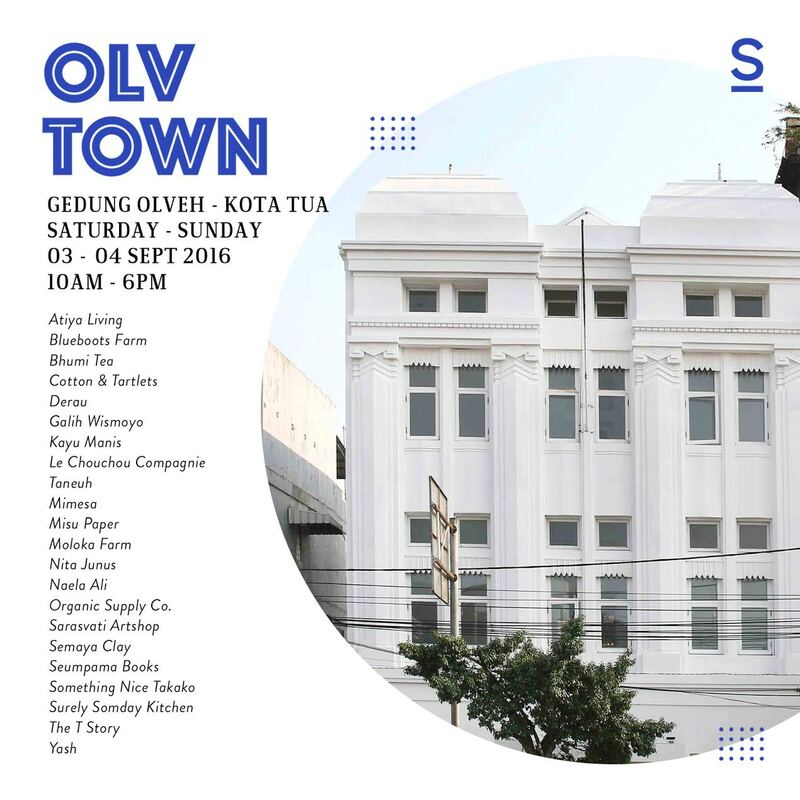 Blueboots Farm will join Olv Town in Kota Tua area this Saturday and Sunday 3 – 4 September 2016. We love what they are doing because they bring awareness to Kota Tua by doing all these engaging projects especially for the younger generation. So see you this Saturday and Sunday at Gedung Olveh – Kota Tua between 10AM – 6PM. Last Sunday was all about gathering with like-minded people. We were at 1/15 Coffee’s Sunday’s Best, which hosted the best of the best from Jakarta’s creatives, makers and doers. 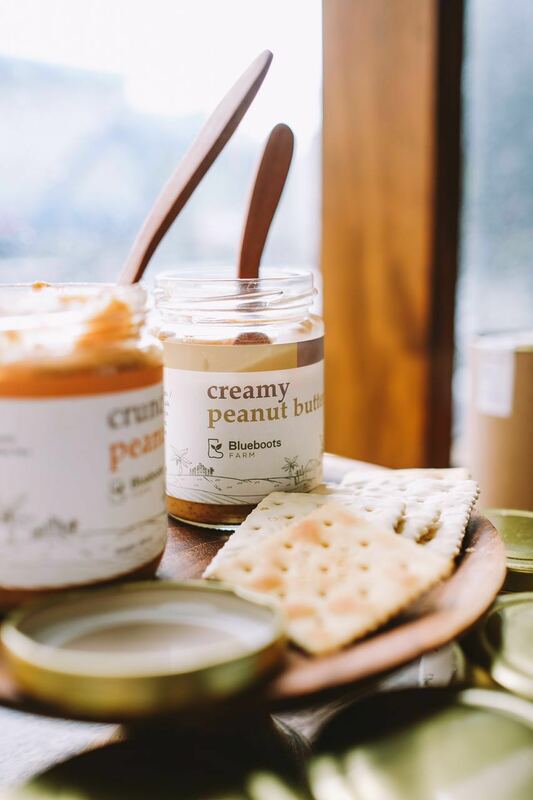 From Blueboots Farm, we brought our creamy and crunchy peanut butter for those who came to try. And did you know that we will be launching our online shop soon? Soon enough, you will be able to fix your peanut butter craving in a click of a button. We are excited too for this progress, which means we can introduce beautiful Indonesian products to many more people! In the meantime, we hope that you are enjoying the peanut butter you bought last Sunday for this morning’s breakfast. 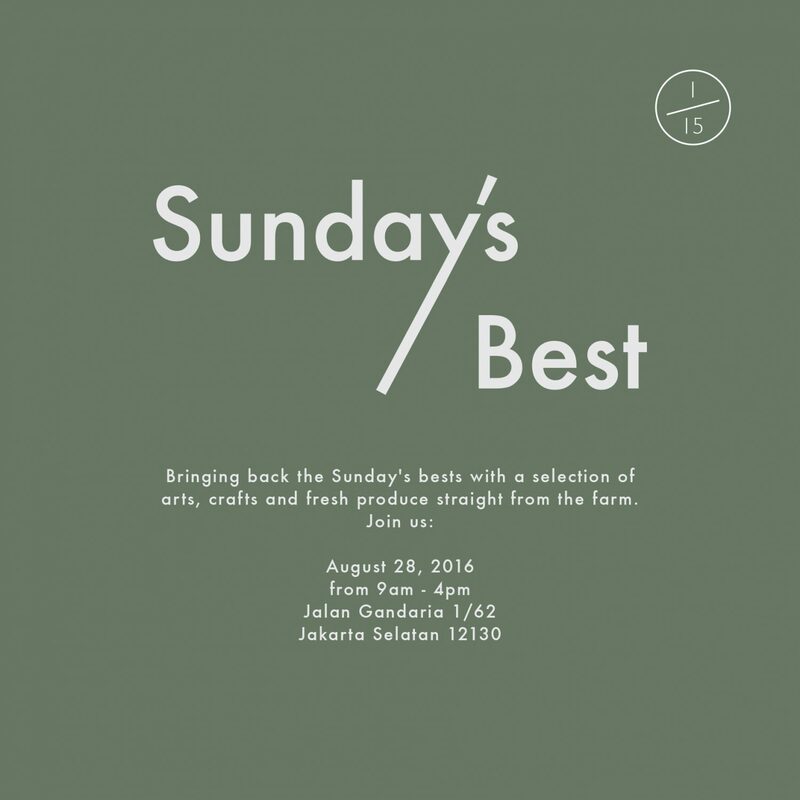 This Sunday, Blueboots Farm will be joining another session of Sunday’s Best at 1/15 Coffee. Expect some of our soon-to-be-released products for you to try and some fresh produces on display as well. Sunday morning can’t be more well-spent than a relaxed chit chat with the people at Sunday’s Best. See you there! http://blueboots.farm/wp-content/uploads/2016/08/Aug_26-1.jpg 1772 1772 standartwork http://blueboots.farm/wp-content/uploads/2016/08/cropped-Untitled-3.png standartwork2016-08-26 06:19:462016-08-26 06:19:56Sunday's Best is Back! Have you had tried Blueboots Root Chips? If you have been to any of our events, you might have had the chance to get these yummy crispy root chips. Consisting of a variety of tubers that grow at Blueboots Farm, these chips are simply irresistible. All you favourite root veggies are included, when you open the package you can expect the familiar savouriness of cassava, yellow sweet potato with a hint of natural sweetness and purple sweet potato with a distinct tea-like flavour. Best of the best! To enhance the umami flavour, these beautiful chips are lightly seasoned with Kusamba salt and black pepper at Blueboots Kitchen. Eating chips, will surely be a different experience since every bite will be a surprising one!